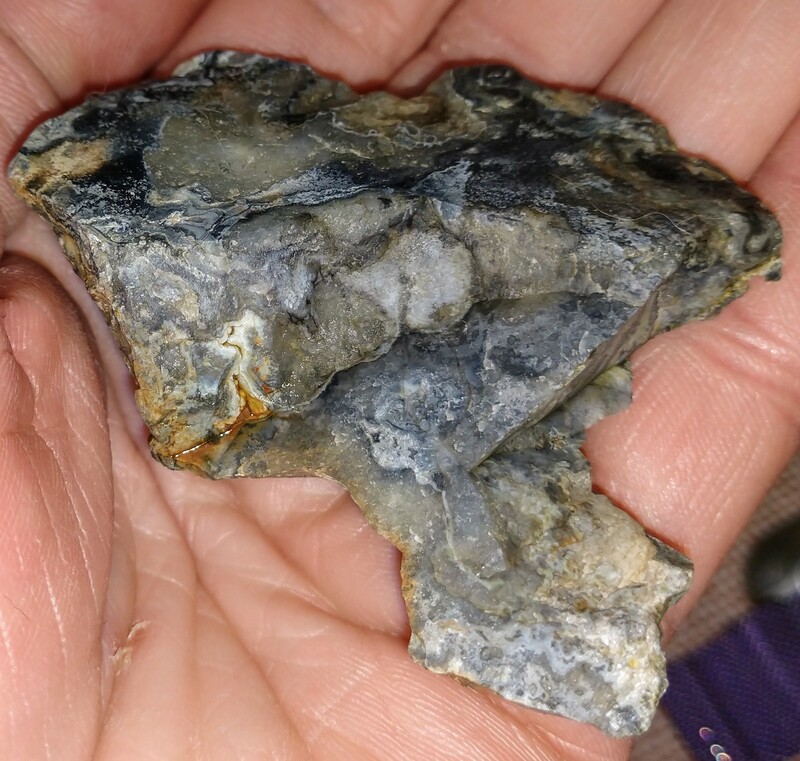 Petrified wood or something else? I found this while digging through piles of river runoff dirt/rocks that were removed after flooding from farm land. It was originally located in Central Iowa, Story County, USA. I am new to this but believe it might be petrified wood. I'm skeptical of this though due to the Orange/Amber developing (show brightly in first picture). Please educate! 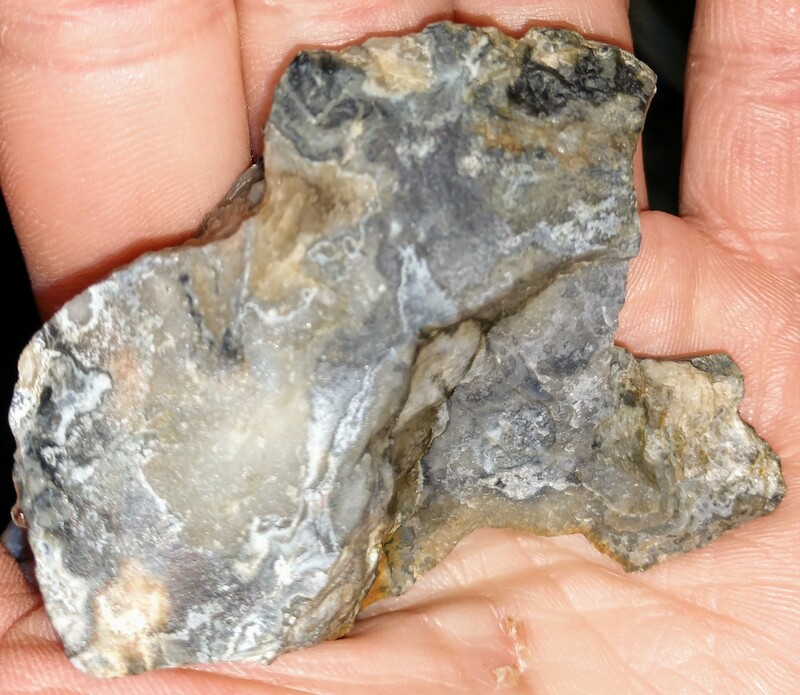 It looks is normal flint, no petrified wood. Petrified wood would show remains of tree rings and internal wood structures. Is this quartz crystal or something else? Is this a rock or something else? What kind of stone is this? Green tourmaline, or something else? Is this petrified wood or just “some rock”? 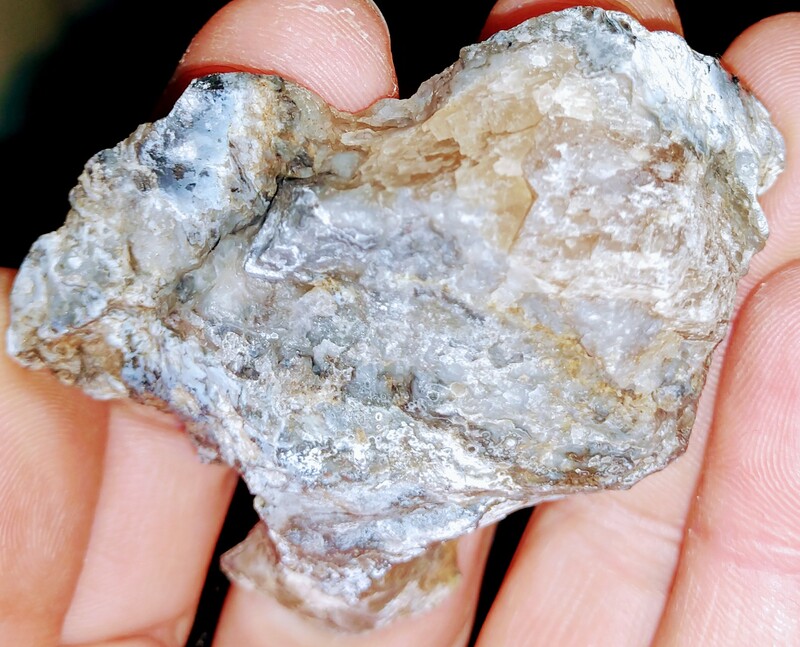 What two mineral/stones are these that formed together?